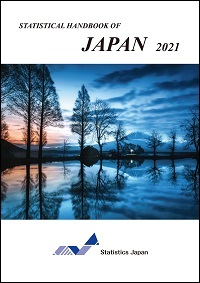 The Statistical Handbook of Japan 2018 is designed to provide a clear and coherent overview of present-day Japan through statistics. It provides statistical tables, figures, maps, and photographs to portray conditions in modern-day Japan from a variety of perspectives, including demographics, economic and social trends, and culture. Most of the comments and statistical data for this purpose have been drawn from principal statistical publications available from government and other leading sources. The handbook is published annually in September. Note: There is a possibility that data on back numbers is corrected retrospectively. For more information on the handbook, please email us.